Today’s smaller, distributed forces, operating on rugged terrain beyond the horizon from their nearest base, are faced with the need to communicate more data, more often, than ever before necessary. Land expeditionary forces that operate in complex terrain require robust and adaptable networks, and ruggedized hardware. Tactical teams, mobile command posts and other units can use man-pack SATCOM terminals, vehicle-mounted and handheld SATCOM systems for users in harsh, isolate environments, to provide high bandwidth data from remote regions. Portable terminals such as these can range in sizes from .45 meter man-packable systems to nearly 4 meter lightweight antenna systems. 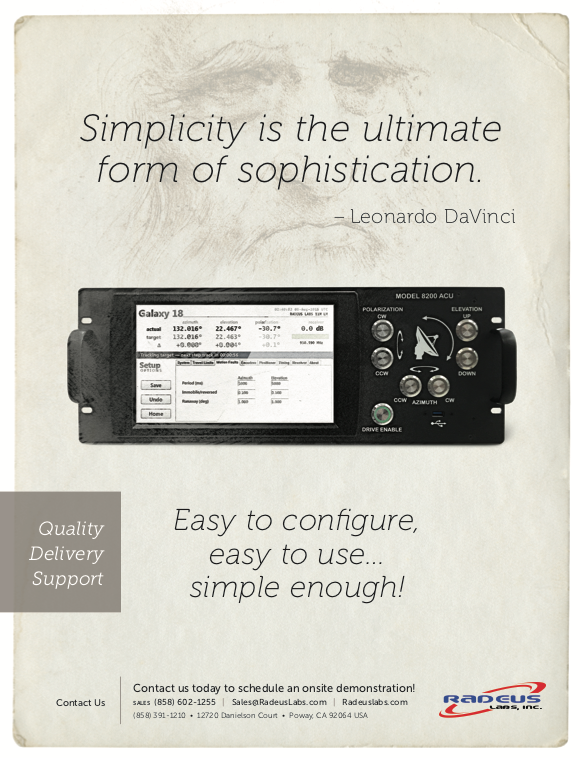 They are capable of rapid, high-bandwidth service activation and access DSCS, WGS, and commercial satellite services. Flyaway and transportable terminals in the 0.5 to 2.5 meter reflector range are also employed by the U.S. military. Deployed SATCOM terminals of the type described above can be subject to extreme weather conditions that include snow, heavy rain and moisture, ice, wind and sand storms, and intense heat. All-weather operations pose unique challenges in deployment of portable terminals. For example, in sand storms, antennas, feeds, auto-track drive systems and reflectors must be protected from dust and sand and the extreme winds that can cause signal interference or outages and damage. In harsh snowstorms, windstorms, rain storms and other challenging conditions, antenna feeds and reflectors must be protected from all of the various elements. Traditional antenna radomes are not built for transportable operation — yet, many of today’s military and first-responder applications on land require deployable systems where harsh elements demand radome-like protection. The Walton Portable Radome (patent pending) is a new solution being introduced to the marketplace for protecting deployable MILSATCOM and SATCOM terminals. The Walton Portable Radome unleashes a entirely new set of possibilities for operating Satellite Transportable Terminals (STT) and micro-VSATs in extreme and mobile conditions in support of the military requirements for high capacity data, voice and video capabilities across the globe. This new product provides a uniquely deployable weather protection solution for applications such as military vehicular mount terminals “drive-aways,” Comms-on-the-Pause (COTP) or at-the-halt terminals, VSATs, transportable uplinks, some enterprise terminals, and MEO transportable or fixed terminals. The lightweight, rapidly deployable Portable Radome protects VSAT and transportable antennas from rain, snow, ice, wind, sand, debris and heat. 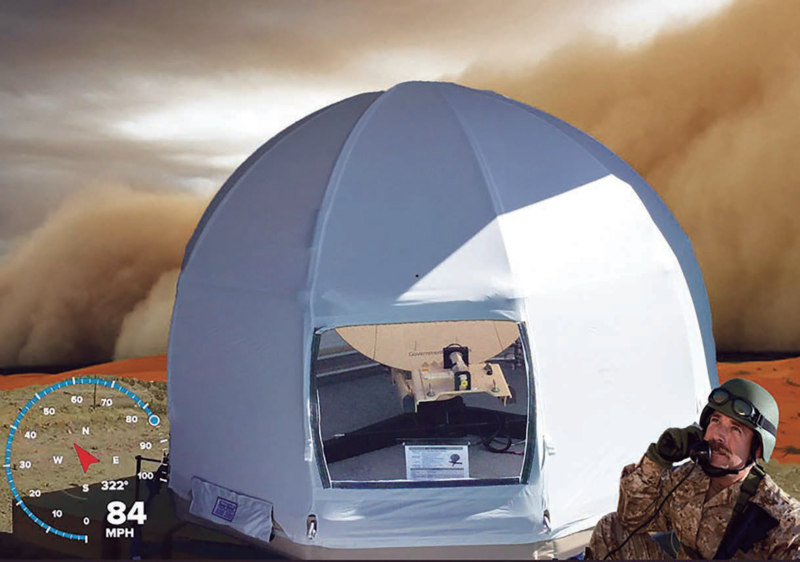 The unit helps make satellite networks more survivable and deployable into extreme or harsh environments, including windstorms, sandstorms, dust storms, blizzards, hail, torrential rains and burning heat and sun. The Walton Portable Radome (available for C-, Ku-, X-, or Ka-Band) also enables operators to gain significant cost saving versus conventional radomes for military networks. Radome sizes range from 1.5 to 9.1 meters in diameter and from 1 meter to 7.6 meters in height. They can protect parabolic antenna reflectors in a variety of sizes. Operational in an 85 miles per hour (136 kph.) constant wind load, the self-supporting structure requires no continuous power, unlike Inflatable SATCOM Antennas (ISA) antenna covers. Unlike Inflatable systems, the Portable Radome is self-supporting. It is quickly assembled without tools in less than an hour, unlike conventional radomes, which can require two days and a crane to install, depending on specifications. The small flyaway lightweight (2.13x1.68 meter / 44.45 kg.) model is airline baggage checkable, and yet, for all these benefits, it can also support permanent site requirements. 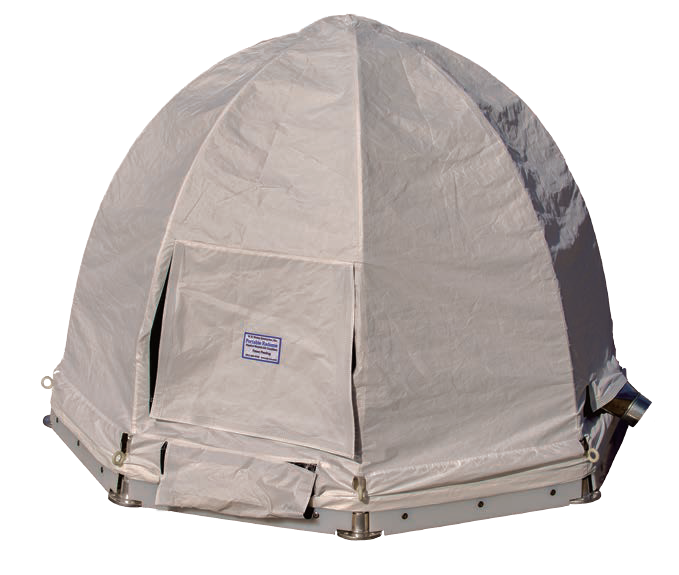 The Walton Portable Radome offers cost savings and other advantages compared to traditional radomes. The Radomes is designed to protect satellite Earth station antennas from damaging and signal-busting weather effects and can also protect from ice and snow, battle the effects of rainwater accumulation as well as heavy winds. In the burning desert sun, the Portable Radome can keep antenna reflectors and outdoor electronics equipment cool, thereby preventing damage. Portable Radome covers a .98-meter Skyware Global Ka Band terminal type used by the French Ministry of Defense. In extremely hot environments, an efficient Air Conditioning Unit can be added in order to cool temperatures underneath the radome — and prevent over-heating damage to equipment under the dome. For snowy and icy environments, various Walton Electric Heater configurations to perform De-Icing functions for the Portable Radome. Automatic de-icing also conserves energy. Other functions that can be remotely controlled and monitored include snow detection and precipitation sensing. Operators can quickly assemble this lightweight, rapidly deployable radome and no tools are necessary. The radome assembles in less than an hour. For some remote sites, crane installation is simply not an option. For many remote and deployed sites, installation with a crane is cost-prohibitive. A Walton Portable Radome can operate at twice the wind load of some popular inflatable systems at sizes suitable for field deployable terminals. However, unlike inflatable antenna covers that require a continuously powered blower to stay inflated, the Walton Portable Radome structure is self-supporting. During the past year, the U.S. Department of Defense (DoD) has invested in network services that leverage the low-latency, MEO, O3b commercial satellite constellation for applications under CENTCOM, AFRICOM, and other regions. 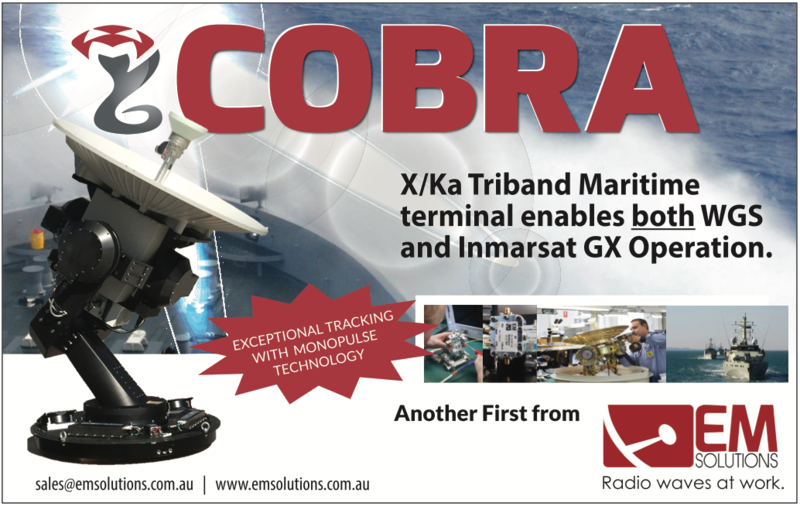 Several terminal manufacturers are supplying the antenna subsystems for terminals to operate with the O3b system. For example, transportable O3b terminal packages offered to DoD buyers include antennas from General Dynamics and AVL that range in size from .85 to 2.4 meters. The Walton Portable Radome can protect MEO tracking antennas of various sizes from harsh elements and the units can be built to specifications for protecting O3b Dual Transportable Tracking Antennas and similar O3b Ground Terminals. The Portable Radome can protect SATCOM terminals from disabling damage and loss-of-use due to temporary environmental hazards in the field — preventing loss of critical communications links. The radome can provide an “extra-ruggedness insurance policy” for a mission — repair/replacement parts simply cannot be provided during such intense actions. Another way the Walton Portable Radome offers cost-savings: highly ruggedized antenna terminals can be costly. Spares and repairs are not inexpensive. Transportable SATCOM terminal acquisition costs can be in excess of $230,000 to $300,000 for some ruggedized MEO configurations, depending on the unit. By protecting field deployable terminals from environmental damage, the Walton Portable Radome can extend the life of SATCOM terminal assets and equipment, reduce mean-time-to-repair, reduce fleet maintenance costs, and help reduce replacement costs. This can free organizations’ budget dollars to spend on other critical items. The introduction of the Portable Radome solution from Walton De-Ice has created new opportunities for the rapid deployment of high-bandwidth SATCOM terminals and their operations in harsh environments. Simultaneously, this radome offers a practical solution for protecting transportable assets, extending the useful life of field terminals, potentially reducing maintenance and other costs, and providing insurance against loss of use. David Walton is Vice President of Walton De-Ice (W.B. Walton Enterprises, Inc.), where he is responsible for the Snow Shield, Ice Quake products and new product development. He has over 37 years of satellite industry experience in the design, manufacture, and deployment of earth station technology, and holds several patents for his inventions in this field. He can be contacted at: david@de-ice.com, or visit www.de-ice.com.